The U.S. Second Circuit Court of Appeals recently revived a whistleblower suit against JPMorgan Chase filed by former wealth management pro Jennifer Sharkey. Sharkey has alleged JPMorgan fired her after she warned that an Israeli client was committing fraud. The second circuit’s decision to revive the case against JPMorgan represents the second time in which the circuit court has acted to resuscitate the case in the last two years. In 2010, Sharkey filed suit against JPMorgan in United States District Court in Manhattan, alleging claims under section 806 of the Sarbanes-Oxley Act (“SOX”) and for breach of contract. Sharkey alleged that, from October 2006 until she was terminated in August 2009, she worked as a vice president and wealth manager in JPMorgan’s private wealth management department. In her capacity as vice president and wealth manager, Sharkey says she managed more than 75 high net worth client relationships, the assets of which totaled more than $500 million, and was the second highest producer in her department. In January 2009, Sharkey alleges that she inherited an Israeli client who had been with JPMorgan’s private bank for more than 20 years, and who generated quarterly returns of some $150,000 for JPMorgan. Sharkey says that, during the month after she inherited the Israeli client, she began a “know your customer” review after she was alerted to the account by JPMorgan’s compliance and risk management team. The compliance and risk management team told Sharkey about irregularities it said could signal money laundering, mail fraud, wire fraud, and potential violations of federal securities laws. In response to the warnings from JPMorgan’s compliance and risk management team, Sharkey says she conducted her own independent research into the client’s activities and communicated with the compliance and risk management team to determine if the client had violated any federal securities laws. In June 2009, Sharkey informed her superiors about what she had found and recommended that JPMorgan cease doing business with the Israeli client. However, Sharkey said that her superiors ignored her concerns and recommendation. Instead, Sharkey’s superiors downplayed and dismissed Sharkey’s claims, both because they directly contradicted their own conclusions and because Sharkey’s allegations exposed weaknesses in JPMorgan’s risk processing procedures. Following her termination, Sharkey filed a complaint with the Occupational Safety and Health Administration (“OSHA”) of the U.S. Department of Labor alleging violations of SOX. In April 2010, OSHA issued its findings and preliminary order, which dismissed Sharkey’s complaint. Sharkey thereafter filed suit in New York federal court. JPMorgan moved to dismiss Sharkey’s complaint, claiming that Sharkey’s actions did not constitute a “protected activity” for purposes of SOX, and that Sharkey’s complaint failed to adequately allege the illegal conduct that formed the basis of her whistleblower complaint. The district court agreed that Sharkey had engaged in protected activity, but agreed with JPMorgan that Sharkey failed to properly plead her SOX claim. The district court also dismissed with prejudice Sharkey’s breach of contract claim, finding that JPMorgan’s Code of Conduct did not constitute an implied contract of employment. While the district court dismissed her SOX claim due to the fact that it failed to adequately allege the illegal conduct at issue, the court granted Sharkey leave to amend her complaint to include the specific violations of SOX. 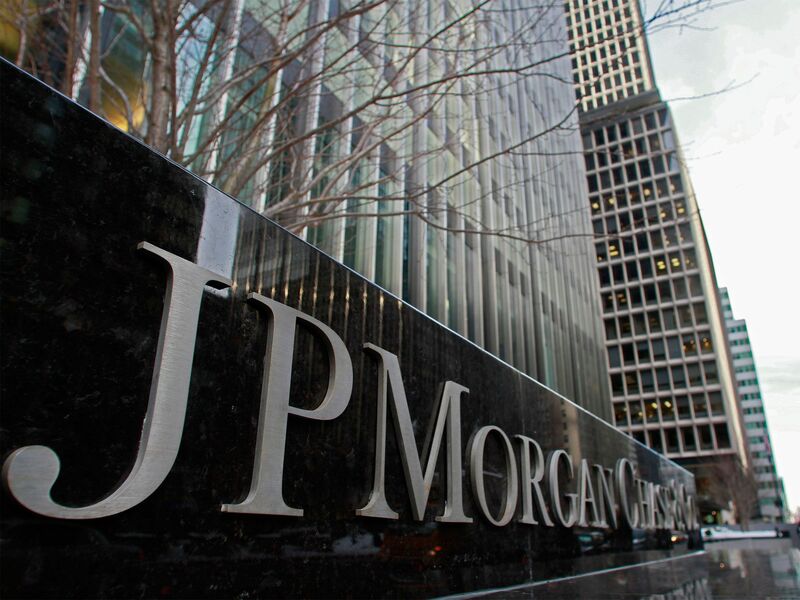 In response to Sharkey’s amended complaint, JPMorgan moved to dismiss, claiming that, in order to show her actions constituted a “protected activity,” Sharkey had to specify exactly which statutes had been violated. The district court disagreed, holding that Sharkey was required only to plead that she had information leading to a reasonable belief that a violation of securities regulations and/or other federal anti-fraud provisions had occurred. The district court concluded that Sharkey’s “myriad allegations” met that standard. JPMorgan also argued that to establish knowledge on behalf of JPMorgan, Sharkey’s complaint had to show that communications from the whistleblower referred to the specific SOX sections being violated. Again, the district court disagreed with JPMorgan, holding that that a whistleblower need only communicate the conduct believed to be illegal, not the code section that the conduct violated. According to the district court, Sharkey’s complaint properly alleged employer knowledge on the grounds that the complaint alleged Sharkey communicated to the defendants a number of different activities she believed to be illegal. In December 2013, the district court granted summary judgment against Sharkey. First, the district court concluded that Sharkey had not engaged in protected activity because allegations of misconduct did not “definitively and specifically” relate to one of the six categories of misconduct enumerated in section 806 of SOX. As it relates to protected activity issues, the district court stressed that Sharkey had failed to “explain how her facts support a scheme or artifice to defraud, fraudulent intent, who was being defrauded by Client A, the nature of the purported fraud, or most importantly, how these allegations meet the elements of the enumerated categories required under SOX.” The district court said that alleged money laundering and violations of the Patriot Act did not “reasonably identify” cognizable under SOX. Second, the district court found that Sharkey did not possess a “subjectively reasonable” belief that she engaged in protected activity, as the court concluded that Sharkey merely felt “uncomfortable” with certain aspects of the client’s business. The court explained that Sharkey was a seasoned and experienced member of the banking industry, with more than a decade of experience, and that, while she objected to some of the client’s business practices, she recommended retaining some of the clients business. Moreover, the court reasoned that the steps the Company took to initially exit the relationship with the client were contrary to Plaintiff’s assertions. Finally, the district court held that, even if Sharkey had engaged in a protected activity under SOX, her complaints did not contribute to her eventual termination. The court said that “temporal proximity,” by itself, does not establish causation, and that, even if Sharkey had begun “blowing the whistle” three months prior to her discharge, that time frame was insufficient to establish causation. Instead, the court explained that there was a “legitimate intervening basis” for Sharkey’s termination; namely that Sharkey had lied to supervisor. In Nielsen, we held that Section 806 “extends whistleblower protection to information provided by an employee regarding any conduct which the employee reasonably believes constitutes a violation of the enumerated federal provisions.” In light of this intervening shift in standard, we vacate the district court’s grant of summary judgment and remand to the district court to assess in the first instance whether Sharkey engaged in Section 806 protected activity under the standard set out in Nielsen. Upon remand, the district court again dismissed Sharkey’s claims, finding that Sharkey’s termination was “very close” to the incident where Sharkey had allegedly lied about being in touch with another client, and Sharkey’s bosses were justified in terminating her based on that incident alone. Sharkey again appealed to the second circuit. During oral argument, second circuit Judges Reena Raggi and Denny Chin expressed doubts over the district court’s ruling, repeatedly claiming that this case did not seem ripe for resolution on summary judgment. Ultimately, the second circuit’s decision came down the same way. The second circuit concluded that there was still a factual dispute between Sharkey and JPMorgan over why Sharkey was terminated. The three judge panel noted that Sharkey was terminated just one week after recommending that JPMorgan cut ties with the Israeli client. JPMorgan had argued that Sharkey was fired because she had lied to her former boss, but the panel said that Sharkey disputes that she lied, and that, without knowing the facts underlying that incident, the court could not decide whether JPMorgan had a legitimate reason to terminate Sharkey. This included evidence that the client (1) was trading in a third-party account, with no documented authority to do so; (2) was not forthcoming with information on various matters relating to his businesses; and (3) maintained numerous accounts through some of which he engaged in unusual transfers, while others were almost empty. J.P. Morgan’s training materials, which Sharkey received as a new employee, identified a number of these activities as money laundering “red flags.” Sharkey also adduced evidence that the client failed to comply with federally mandated due diligence protocols. To be sure, defendants point to evidence indicating that Sharkey’s concerns subsequently proved unfounded and that she may have failed to take reasonable steps to investigate her concerns. But this gives rise to disputes of fact. It does not compel a conclusion that, as a matter of law, Sharkey could not have held a reasonable belief of illegal client activity. As a result of the second circuit’s decision, Sharkey’s case is headed back to the trial court for further proceedings consistent with the second circuit’s order. On remand, it will be interesting to see how the factual dispute over Sharkey’s termination will play out. Will Sharkey’s claim that she did not lie to her boss hold up? Or, will the fact that Sharkey’s whistleblower allegations about her client, which proved to be unfounded, unravel her case? If you or someone you know has been the subject of workplace retaliation for blowing the whistle on misconduct on the part of your employer, whether it involves violations of federal securities laws or otherwise, please contact our whistleblower attorney team for a consultation. Our whistleblower attorney team can be reached via email at kporter@chrisjen.com, or by phone at 801-323-5000, or through our contact form.